Well, that’s one way to do it I guess. Being a parent is not hard, but being a good parent, is challenging. Studies show that nearly 100% of us who are parents, were also all at one point, children. We all had a childhood. Here’s the thing, 90% or so of our childhood, is gone from our brains. Quick, Tuesday, May 12, 1987, what were you doing? Unless that day was your birthday, or you are Marilu Henner, you probably have no idea. You see, our childhood is not classified by what actually happened to us between the ages of 5 and 18, our childhood is what collection of memories remain from that time. And what remains, are those moments… the moments that etched themselves into our brains, good or bad, forever. What are we doing as parents, or what AREN’T we doing as parents, to create more of those moments for our kids? The summer is just beginning. In 20 years, how will your kids talk about the summer of 2014? Will it remain in their memory? Or will it blend in to the rest of the generic days gone by? I’m not saying there aren’t days where YOU just need a break, or need to unwind. That’s completely fair. But on the other days, there needs to be a plan, or you’ll look up, the summer is gone, and your kids need physical therapy from the carpal tunnel they’ve acquired thanks to 1,000 consecutive hours of Minecraft. Here is what I have proposed at my house, and it’s something we’ll begin doing this week. Once or twice a week, for no reason whatsoever, my kids will wake up and find M&Ms somewhere in the house. When they do, that means today is an M&M day. When they see some M&Ms on the counter, or on the kitchen table, or stapled to their foreheads, they’ll know something fun is going to happen today. Or at the very least, something different, something planned, something on purpose. Also, all electronics will remain in the glove box, for emergency phone calls only. No video games. No texting. No selfies. No, gulp, Facebook browsing. I’ll be honest, my boys are 14 and 10, they aren’t going to find EVERYTHING we choose to be something UNBELIEVABLE! One week it may be riding roller coasters all day, the next week, it’s a lunch date with dad. It doesn’t have to be something expensive or extravagant. I remember when I was a kid in Tulsa, Oklahoma, my dad would drive us to some hole in the wall on the north side because they had the best BBQ. I don’t remember where it was, I don’t even remember if the BBQ was any good, but what I do remember, 25 years later, is that we went. I want my kids to have similar memories. They won’t remember why we drove an hour just to eat fried chicken in the middle of nowhere, but they will remember that we did it. 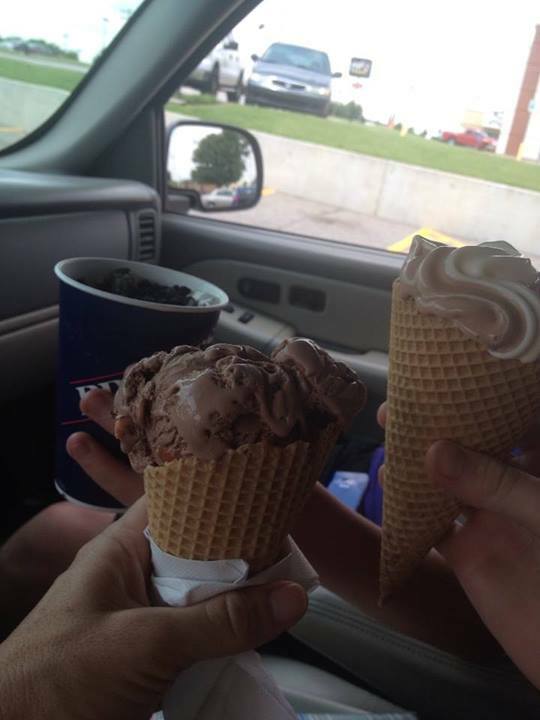 Last week, my wife decided on the fly that she was going to take the boys to get some ice cream cones. THAT’S how you build a childhood. You don’t build a childhood one day at a time, you build it one memory at a time. What are you doing today that will leave a lasting impression on your children forever? Or better yet, what aren’t you doing? So join me in this M&M challenge. Have some fun with it, and give your kids a summer to remember. Feel free to post your results or your suggestions in the comments below. *This blog has no connection to Eminem, unless, of course, he wants to do the M&M challenge too.